Introduction of Fellows initiates $25 Million program in partnership with the Rhodes Trust, as part of $100 Million commitment to drive scientific leadership and interdisciplinary research. 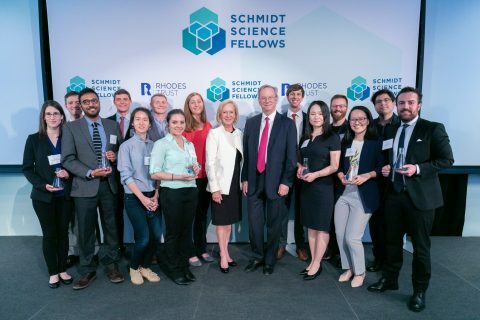 Eric and Wendy Schmidt, in partnership with the Rhodes Trust, today announced the 14 members of the inaugural 2018-2019 class of Schmidt Science Fellows at an event at the Apella Alexandria Center for Life Science in New York City. This unique post-doctoral program focused on scientific leadership and interdisciplinary research is aimed at providing the next generation of leaders and innovators with the tools and opportunities to drive world-changing advances across the sciences and society.